Over 120 years after his birth, China still debates what Mao’s true legacy is. December 26, 2015 was Mao Zedong’s 122nd birthday. A crowd gathered in Shaoshan, Mao’s birthplace, to celebrate his birthday under the watchful eyes of the armed police. Although he is the founding father of the People’s Republic of China, Mao remains a controversial figure in China. 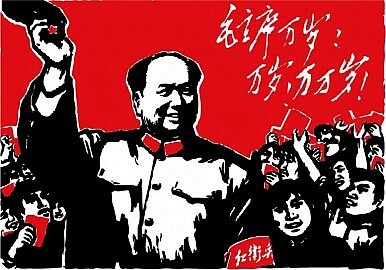 Mao’s fans believe that he is a great savior, the sort of hero the world only sees a few times in a millennium. To Mao’s admirers, the Chinese people should be grateful because it was Mao who put an end to China’s “century of humiliation.” Because of him, the Chinese people have stood up in the world. But Mao’s opponents consider him a demon, a creature that is good at nothing but destruction. Under his leadership, tens of millions of people perished, families were destroyed, schools were suspended, government institutions were paralyzed, and the whole country was brought to the edge of total collapse. In recent years, the Chinese Communist Party’s official evaluations of Mao have become more positive. In a party resolution adopted in June 1981 under the leadership of Deng Xiaoping, Mao was considered “a great Marxist as well as a great proletarian revolutionary, strategist and theorist.” Although he made “serious mistakes” during the Cultural Revolution, the party decided that his contributions to the Chinese revolution far outweighed his harms. But with the exception of Mao’s portrait at Tiananmen Square, Mao’s image rarely appeared at official functions. At the 60th anniversary of the People’s Republic of China in 2009, however, Mao’s image appeared in the national parade, along with those of Deng Xiaoping, Jiang Zemin, and Hu Jintao (then the incumbent leader). On January 5, 2013, Xi Jinping, the newly elected general secretary of the CCP, told the new members of the 18th Central Committee that a complete denunciation of Mao Zedong would lead to chaos. This is because with Mao’s complete denunciation, the CCP would lose its legitimacy and the Chinese socialist system would lose its credibility. The official media has been trying to defend Mao ever since. In the meantime, however, Chinese intellectuals have become much more negative toward Mao. For many, Mao was probably the worst ruler in Chinese history. He brought nothing to the country but a series of man-made disasters. He destroyed Chinese intellectuals through an anti-rightist campaign, caused the deaths tens of millions of Chinese people during the Great Leap Forward, and murdered his comrades and associates and many others during the Cultural Revolution. He was not a great savior of the Chinese people, nor was he a great savior of the Chinese Communist Party. He was simply a tyrant of the worst type.